There’s no debate about the importance of situational awareness. For police, fire, and medical first responders, knowing as much as possible about an incident before arriving at the scene is a life-saving necessity. Fortunately, computer-aided dispatch and other technologies have existed for years to provide critical advance information. Officers and field personnel have access to medical data, call history, maps and topography, and other knowledge to help them plan when responding to a scene. Now field teams have a new way to stay connected to these multiple systems and add in information directly from the situation at hand. As soon as they leave their vehicles, they are cut off from any information that can’t be transmitted by radio—at least, they used to be. 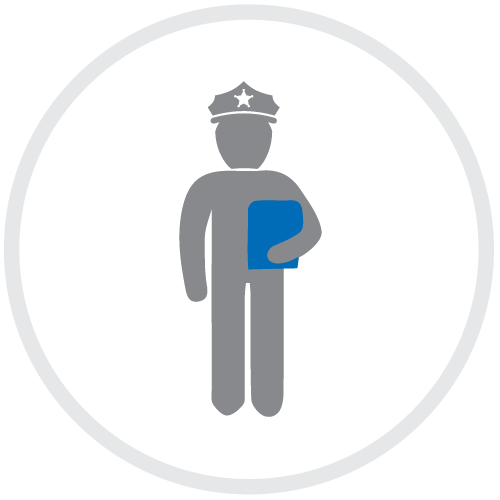 With a vehicle area network (VAN), field personnel are able to connect smart devices like laptops and tablets over a VPN to the same network that personnel at HQ are using, and have access to any and all information available from HQ instantly. Furthermore, officers in the field can transmit video and other data back to HQ when necessary to make additional dispatch or other tactical decisions. For example, if a call comes in for a building evacuation, personnel are able to retrieve patient histories (if there are injuries), building floorplans and security systems, surrounding area maps and more. Plus, their vehicles provide information on itself and the occupants which can assist in defining a situation further. In Florida, one police department needed to increase their communications bandwidth to accommodate city video camera feeds. They implemented CalAmp’s Fusion routers, which also improved their virtual connection to the central office, and gained quicker access to records and databases when responding to a call or investigating an incident. In addition, this technology also brings situational awareness to non-emergency personnel who never had it before; installers, repair technicians, delivery drivers and others can now benefit from vehicle area networks and information technology to deliver better service. The use case is similar: call history, maps and topology, and other knowledge are all important for improving service and efficiency. The advantage of building penetration in a service setting is obvious, too: a service technician can call another driver or headquarters to order a part, get status on service, or obtain assistance all without leaving the customer’s living room. For more about how vehicle area networks provide valuable information to personnel in the field, stop by our booth #3857 at IACP 2016 on October 15-18, 2016. Also, look for our whitepaper which will be released in the coming weeks. It will provide more information about this new technology.